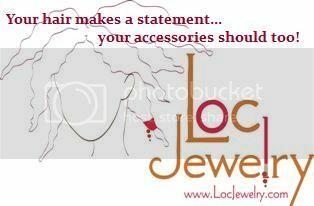 Loc Rocker: Me + My Locs=? Well y'all, this may be the last post I do about my hair in a while. I'm just in one big rut and I'm going to have to stay there and sulk silently. And I'm not even being all dramatic this time around. I'm really not digging the locs too much right now. But don't worry...I'm not going to cut them off. I did the one thing that always makes me feel better about my hair. That's right dammit. I promised myself that I wouldn't color them until the married locs completely loc'd but whatever. And it's not like I went out and got this color. I received a sample of it to review for Clumps of Mascara and that box kept staring at me, y'all. Aaaand, I haven't done an all over color since what? October? Come on...that's pretty good for a color-obsessed fool like myself. I know I said I wanted to go red but hmmmm....not really. Red all over? Hmm...yeah. But I was desperate for some action in my hair so I applied the color. It got red FAST. Fast, y'all. I took my girl Ness' advice and did an herbal rinses. I grow herbs but don't grow rosemary so imagine my surprise when I found out that my grocery store sells herbs. They ain't fresh, locally grown or organic but they'll do. Brewed 'em and threw in some lavender drops, let it chill and used it as my last rinse. It.was.amazing! Will be doing these rinseses a lot often. Check out this new growth!! Mind you I re-twisted a good two weeks ago. Craziness! And what is this? LOL! It's straight hair. So funny. I decided not to re-twist. The red is okay. I'm not in LOVE with it but it'll do. I still plan to go lighter and do some streaking but my loctician will be doing all that. In the meantime, this will work. My face says it all. I've got like 2 inches of afro hair all over. It's just...funky and I don't know if I like it. These rubber bands freak me out. But not more than the 2-strand twist lookin' locs. However, this weekend they didn't bother me too much. It feels good to be re-acquainted with the loose natural hair at the roots. 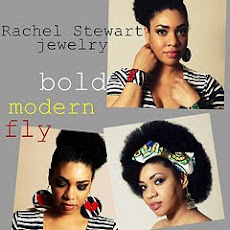 If I wanted to BC right now, I'd have a nice sized TWA to work with. The freeform look is refreshing. I kinda like it. But then again, during the weekend, I am completely boho chic. I think I'll have to re-twist the front for work. I've also divorced a lot of my married locs. Some were larger than I liked. And now I've got a head full of thin locs and thick locs. Crazy. But I don't care. Goodbye uniformity. Hello un-decisiveness. I'm not diggin' the thin locs but the larger locs aren't making me happy either. Whatev. I need to sit down somewhere, leave my hair alone and call it a day. Like Mrs. Honey Dip says, "Who says hair isn't emotional?" It is, y'all. But like everything in life, you have to learn to take it in stride and do what makes you happy. Say goodbye to pics of my locs for awhile. The next few posts, we're going to focus on other thangs. I love your hair B! Sorry you are in a rut with your hair, but I see it as really just being human. It is amazing how emotional hair is. It is amazing how cutting, styling, touching-up hair is like a new beginning and getting rid of old energy. 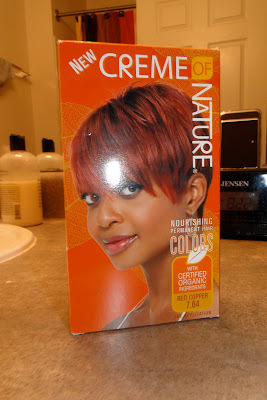 Would love to see how that hair color is going to turn out, I've always admired that type of red color dye for hair. I'm gonna miss your loc updates :( but I support ya! Mwah! I totally agree with you- hair is emotional and makes us emotional. especially when it isn't looking the way we want it. Somedays i LOVE my locs, others they just look kinda blah and i constantly keep looing at other ppl's locs and say i want my hair to look like that. We just have to leave the locs alone and let them do what they do. I want my locs to all be the same size too but i realize that will never happen so i just let them be. Don't be sad, they will come into their own and then you will be in love all over again! I hear ya. This is a huge reason why I haven't loc'ed my hair. I'm indecisive and I love to switch up my style. Oh, most importantly, I'm impatient. That's good about your "break" use this time to see what direction you want to go. P.S. Everybody's dyeing their hair for the summer! I wanna join the bandwagon! :-) Except I'll do the natural way with the cinnamon first and see if my hair takes that. I'm going to miss ur pic updates and such. They are an inspiration. I am in a rut trying to get my Locs to lay down. At 3"-4" they usually stick straight up or are crinkled. Ug! Ur blogs give me hope... I'd love to hear more about herbal rinses. How they're done, which herbs, etc. LOVE UR BLOG! I will miss seeing ur locs. But I totally understand. Hair can be very emotional. My locs are giving me grief also. Not sure what to do. As for now I'll leave them be. So much time and energy it would be hard to cut them off. Good luck . I feel your pain! I am in the process of combining my locs also but I am sewing mine together with invisible thread (started out with regular thread) The locs combined with the invisible thread look a heck better than the ones with regular thread but i REFUSe to re-do them bad boys...I'll send you before and after pics once I am done. I started off with 174 locs and have much less now. Had to be done cause they are skinny and starting to thin and I got tired of tying knots in the thin spots so hello needle and thread. I have also thought about cutting them off and starting over. I'll wait to see how I feel about them once I finish combining. Now back to the problem at hand! This is just a phase and like the other people have said, you will find your love again. Do what you need to do to get thru this stage and you will come out fine. Just don't do anything too drastic. I think I've been thru that phase 3 or 4 times in 7 years. I've cut them shorter, cut them in a bob, colored the tips, and I've colored all of the back. Some things I regretted (like cutting) but I've come back to my hair in the end. Loving it. Just be patient. I agree w. Honey Dip, patience IS a virtue. I'm also dyeing (hint hint) to try something different w. my hair (gonna wait for it to reach the 1 year mark first), but I've had more than a few days where only a cute scarf or dope hat would do. Just remember why you started this hair journey in the 1st place and remember that your readers are here to support and guide you like you did for us! Have you thought about your loctician marrying/divorcing them for you so they dont vary in size too much? Agreed with everyone. I've been going thru a similar love/hate relationship with my locs for the entire 7-years I've had them. I remember my locs were quite frustrating when they were younger. I recently cut my hair up to chin-length and coloured it black and red, and it helped me feel better about my hair and even myself. Maybe a drastic change would help you too. Your colour came out pretty well, I tried doing an at-home dye job a while ago (with help from mommy) and we laughed at the fact that my hair just absorbed the colour. I like the color but what are the herbs for?